Dag Albert, one of Sweden’s most prestigious event riders, having had success representing his country in ponies, juniors and young riders and at the last Olympics in Beijing, has chosen PureFlax Oil to feed to his event horse Tubber Rebel shortlisted to represent Sweden at the London Olympics. Grown, cold pressed and bottled on the farm, PureFlax is a 100% pure and natural source of flaxseed oil for all animals, and is the only oil on the market with a full balance of Omega 3, 6 and 9 – the essential fatty acids thoroughbred horses need to retain at their peak. “Having heard about the PureFlax Oil and its natural qualities we decided to put Tubber Rebel an event horse competing at the top level and short listed to represent Sweden at the London Olympics on PureFlax Oil. It is a quality British product and high in Omega 3 which is so beneficial to horses especially those with high demands. PureFlax Flaxseed Oil is already used by racehorse trainers, dog breeders and pet lovers alike. A range of essential benefits include improved coat condition to improved mobility as a result of the benefits associated with Omega 3. 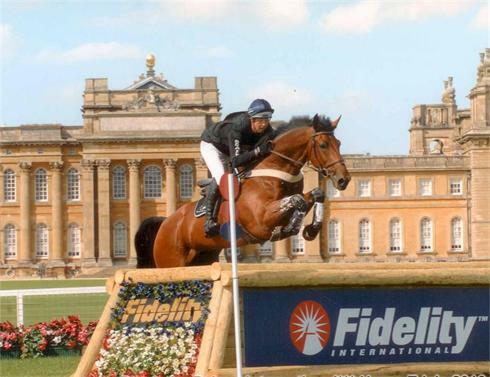 “We are very proud to be supplying our PureFlax Oil to a horse short listed to be taking part at the London 2012 Olympics!